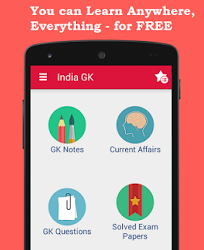 7, 8 September 2016 Current Affairs MCQs, Quiz, Questions: Current Affairs for September 2016, Daily Multiple Choice Questions (MCQs) for India GK, World GK and current affairs with Collection of daily objective type Question by www.Indiagk.net based on General Knowledge (GK) and General Science (GS) Questions for UPSC, State PSC, SSC, Police exam, Railway exam, SBI, Bank PO, IBPC, SSC, LDC, UDC, Army, Airforce, Navy, Coast Guard, Bank Clerk, TET and all entrance examination with current affairs News, Multiple Choice Questions (MCQs) available on Website www.IndiaGK.net and Android Apps with daily updates:. The 2016 ASEAN Summit has started in which of the following countries? India and which country hold Joint Exercise “PRABAL DOSTYK-16” ? 50th International Literacy Day celebrated on which day ? Which among following are two Cleanest Districts in India in ‘Swachh Survekshan’ ? ISRO Successfully Launches India’s ---------- Satellite INSAT-3DR on 8th September ?